. . oh . 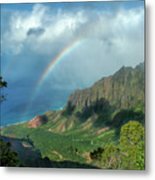 that is wonderful news Jim :)) . . how long since you were on Maui . I have only spent 1 hour on Maui at the airport. I look forward to spending much more time there.
. Aloha James . thank you for your kind note . it is always good to hear from you . 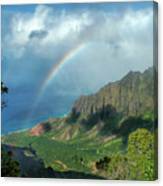 I am so happy you enjoyed a wonderful holiday on Kauai . . love seeing this lovely anuenue again . 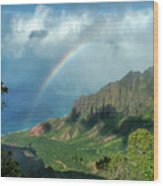 it is so beautiful . . hope to see it in :: Dimensions :: :: Starz :: :: Tropical Art :: :: Polynesian Connection :: . . Aloha mai e my friend . signing off now . I wish you a peaceful day . Aloha Sharon. Mahalo for featuring my work. This valley is breath taking. Great Kalalau Valley/Napali Coast image. Great capture. This exemplifies Hawaii. Thanks for your comment on my pic. Meditation Point. 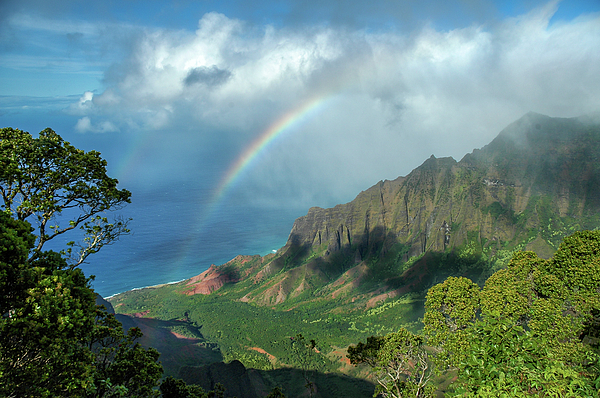 A view of the beautiful Na Pali Coast and the Kalalau Valley on the North Shore of Kauai, Hawaii. (c) James Q. Eddy Jr.